Talk about AMAZING. 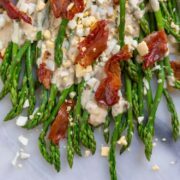 This recipe for quickly blanched Asparagus with Tarragon Sauce is out of this world good and SO easy. 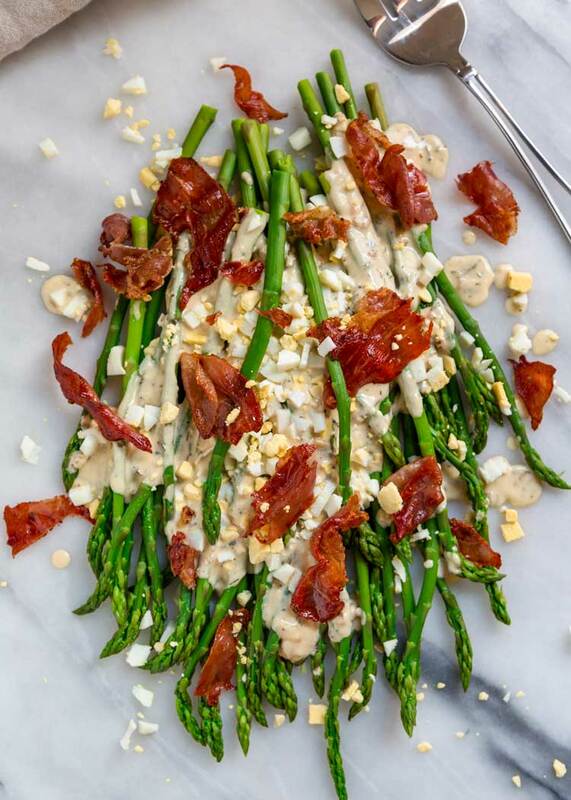 With a three minute blanch in hot water, tender asparagus is covered with an easy to make tarragon sauce that reminds me of a bernaise, and gets topped with pan fried prosciutto and chopped egg. I’m always on the lookout for new recipes to share with you and this does just that. Perfect for anytime, but this is always a hit at the holiday dinner table, too. Ends trimmed and tough leaves removed, these delicious asparagus get a 3 minute blanch in heavily salted water. That’s it. It’s the sauce folks. An incredibly easy one to make that delivers BIG on flavors. It reminds me of the classic French sauce bernaise. Although no double steamer to cook egg yolks and melted butter with the risk of curdling. This recipes comes from a Better Homes and Gardens cookbook and is one of our favorites. 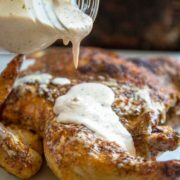 All you need is a sauce pan and a few on hand items like cider vinegar, mustard, shallots, and the key, mayonnaise! 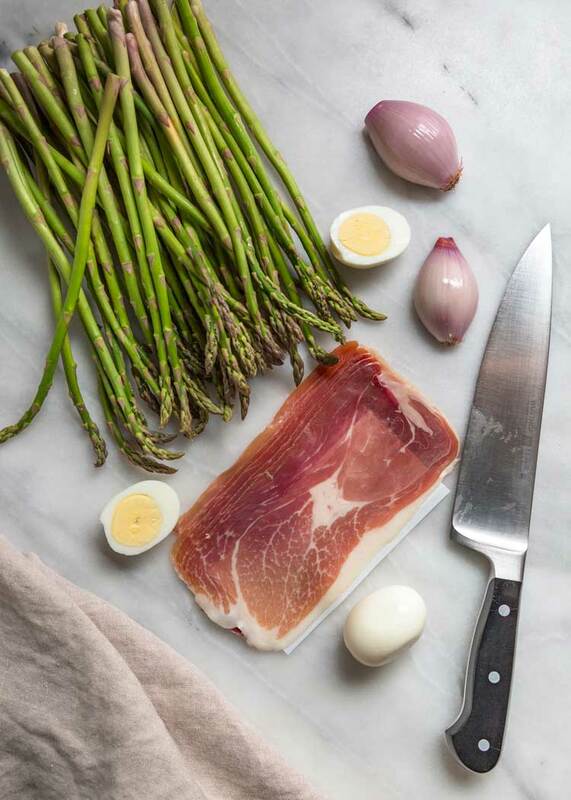 I next pan fry some prosciutto to crumble on top (or use bacon if you prefer) and chop hard boiled eggs for an added touch. 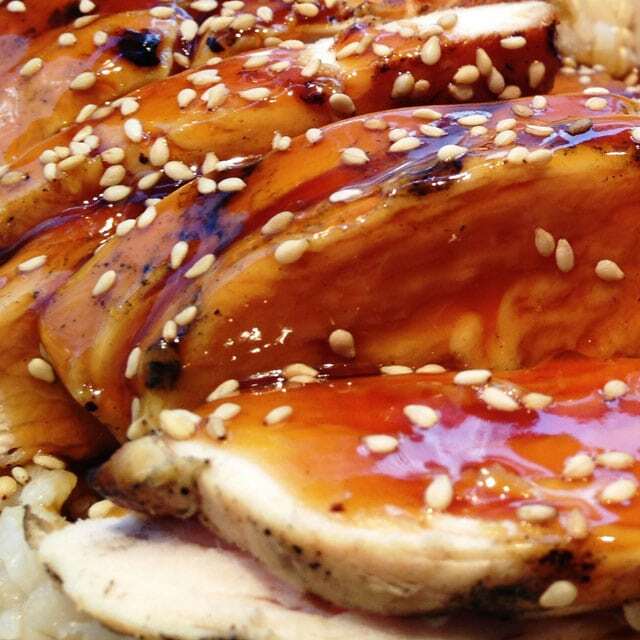 Not only is this one visually beautiful to look at, but it’s even better to eat. Enjoy! 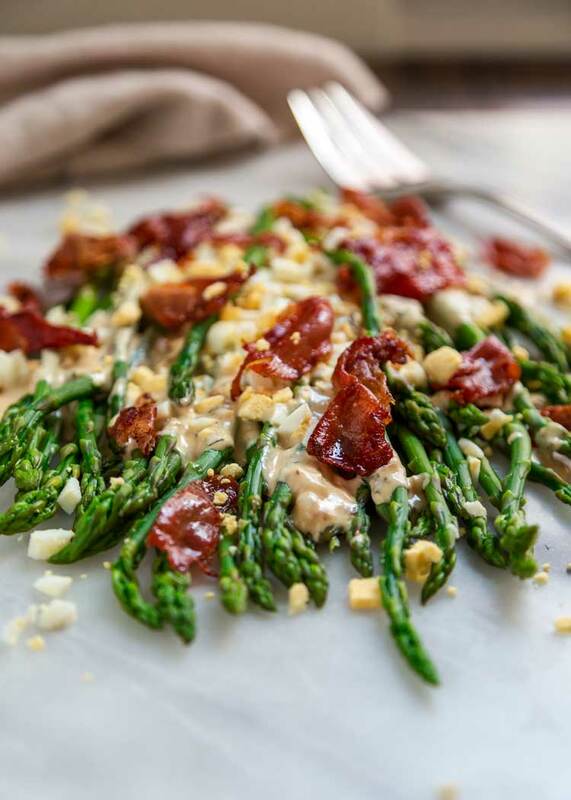 Quickly blanched, tender asparagus is covered with an easy to make tarragon sauce that reminds me of a bernaise, pan fried prosciutto and chopped egg. Adapted from BH&G recipe. Snap off and discard woody ends from asparagus. In a small saucepan melt 1 tablespoon of the butter over medium heat. Add the shallot; cook and stir about 2 minutes or until softened. Stir in the tarragon, kosher salt, and pepper. Whisk in the mustard, vinegar, and lemon juice. Cook for a minute and remove from heat. Whisk in the mayonnaise. Heat through, stirring frequently. Cover and keep warm. In a medium skillet heat the remaining 1 tablespoon butter over medium-high heat. Add the prosciutto pieces and cook about 2 to 4 minutes or until just crisp and golden, turning once halfway through cooking time. Transfer to paper towels to drain. Bring a large saucepan of salted water to a boil. Add asparagus and cook about 3 minutes or until crisp-tender; drain. Transfer asparagus to a serving platter. 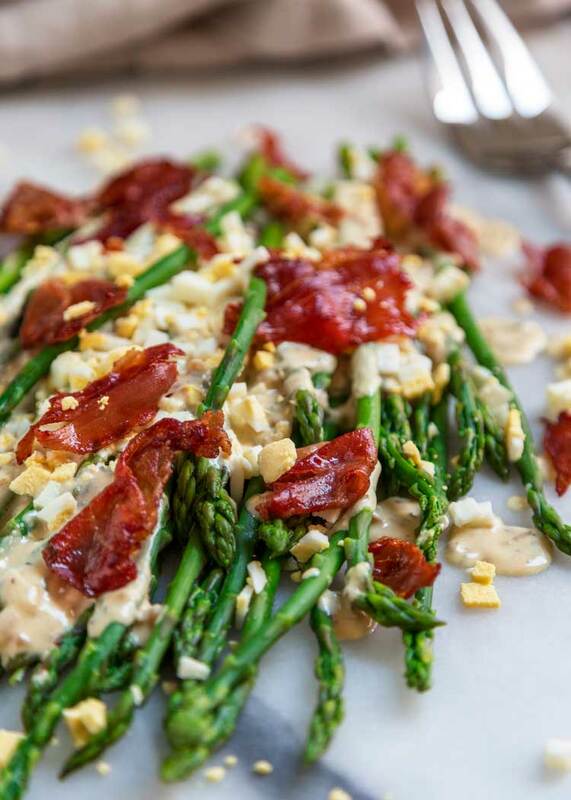 Spoon the tarragon sauce over asparagus spears and sprinkle with prosciutto and chopped eggs. Hey Kevin! 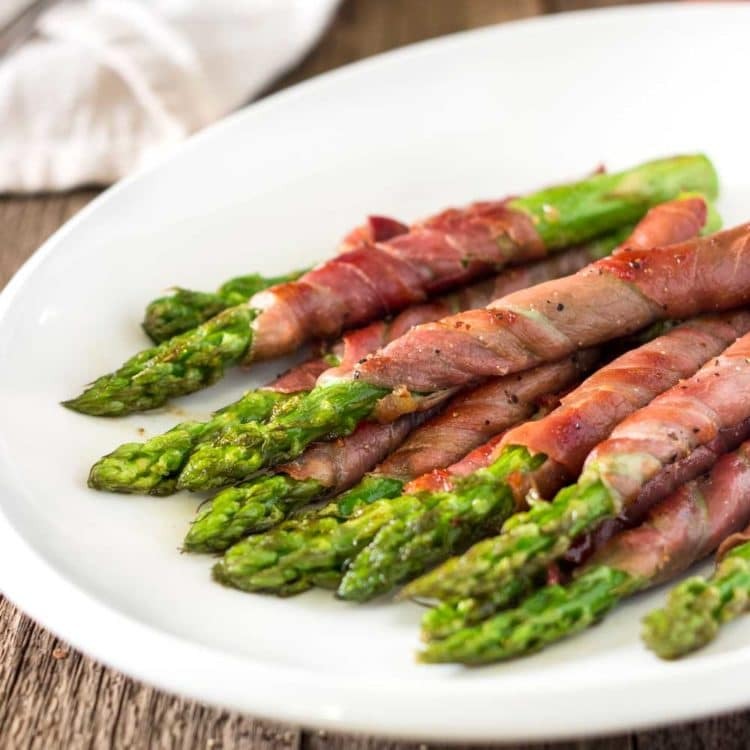 I never met a vegetable I didn’t like, but asparagus is right at the top of my list! 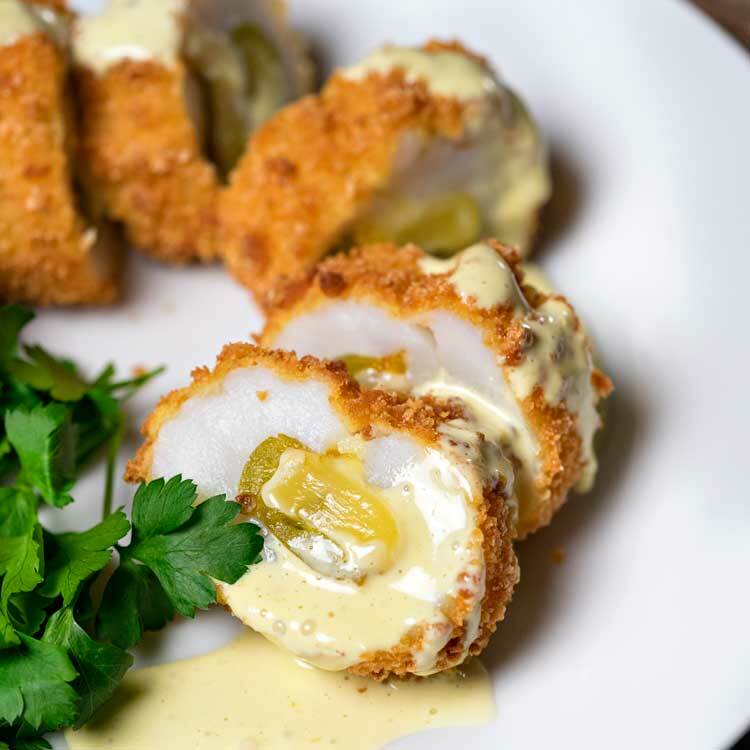 This sauce sounds amazing and this dish would pair so well with fish! I think tarragon is made to go with fish! Unfortunately good asparagus won’t be around here for six months, but when it is in season I will be making this delicious sauce! Agree with you there Dorothy! We’re getting all thin, tender ones in now. Love it! I love love love asparagus! When it’s cooked until just tender-crisp it’s one of those things that I can literally eat an entire platter of! Now, top it off with all this jazz you have going on here?! YES PLEASE! I could make a meal out of this asparagus! So yum! Pinned! Where has this been all my life??? This looks just incredible kevin. Def saving for later! So happy you like this one, hopefully it’ll make your holiday table Danielle! Love all the textures and flavors of this one. Thanks Dawn! You know that I’m a big tarragon fan so this has my name all over it! Such a delicious side dish for a special meal!